designed/marketed by - north class enchanted rose, canada. 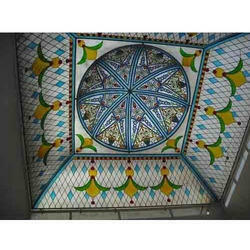 We deal into various types of FRP Domes which is made by good raw materials. These are available at very economical range to our client and these are used for various purpose like it is used in house, hotels and many other places company that is committed to optimum quality and utmost customer's satisfaction. - These are fixed planetarium dome screens made of perforated Fibre channels of suitable gauge. - The perforated fibre channels are riveted together to finally form planetarium projection dome screen. Leo Planetaria Astronomy Education Pvt. Ltd. Specifications and colors may vary due to recent improvements in design. - This Pier Tech Tele-Station 2 Roll-off Roof Observatory has 7' X 7' X 6'h interior dimensions. - All aluminum constructions comes in your choice of 12 colors. We are offering high quality range of Domes. Available in various sizes as per the customers requirement. Proper designing of domes shapes, methods of fixing are important in view of proper ventilation, avoiding rain water to come in and also to attain maintenance free systems. Use of proper raw materials and method of manufacture plays an important role in durability of our product. 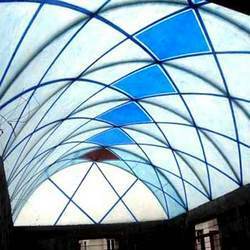 We are manufacturers and exporters of a comprehensive collection of FRP Domes. We manufacture this product under the supervision of qualified engineers, using high grade raw components. Apart from that, these dooms are widely appreciated in the market due to their durability, reliability and long serving life. Leveraging on our latest infrastructure facilities, we are able to offer a wide gamut of Prefabricated FRP Domes. Offered in unique designs, shapes and sizes, these custom designed domes can be purchased as per the diverse requirements of our clients. Each and every product undergoes strict quality tests in our internal quality testing department.